Chickens on traditional free range poultry farm. 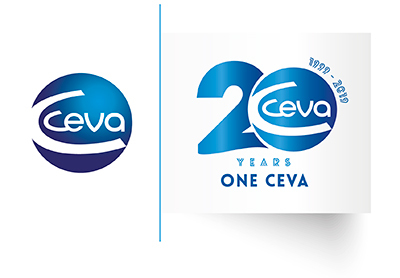 Ceva has placed at the forefront of its “Together, beyond animal health” vision its desire to contribute to the well-being of populations by protecting and treating animals, paying special attention to zoonotic diseases, those transmissible from animals to humans. With this in mind its teams developed the Vectormune® AI vaccine, successfully tested and introduced in numerous countries hit by avian influenza. This vaccine is a genuinely innovative weapon, more efficacious than traditional solutions. In terms of preventing avian influenza, 2016 was an intense year: in parallel with our epidemiological research and monitoring activities, our teams managed a packed program of meetings, summits and national and international symposium, attended by hundreds of professionals from the poultry industry, as well as scientists and politicians concerned with controlling avian influenza. Avian influenza is a serious disease that spreads geographically. Epidemics lead to the death of millions of birds and cause considerable damage, both to affected producers and to populations faced with sharply falling meat supplies and sharply rising prices.The USA was hit by a severe outbreak during 2015. More than 200 farms were affected, 43 million birds were destroyed as a result of the disease with the global economic impact estimated as close to US$ 4 billion. In 2015-2016, it was Europe’s turn to be affected by avian influenza, particularly Ceva’s home area of south west France. The drastic measures taken did not prevent this disease from rearing its ugly head again the following winter. Avian influenza has now become endemic in many countries in Asia, the Middle East, Central America and Africa. Since 2014, Ceva has been working in close collaboration with the Mexican government to put in place a specific solution against H7 avian influenza adapted to the country. In June 2012, the national food health, safety and quality service (SENASICA, Servicio Nacional de Sanidad, Inocuidad y Calidad Agroalimentaria) confirmed the presence of the H7N3 virus on poultry farms in the State of Jalisco. 27 million birds, while exports had fallen by 69% in volume, and many jobs had been lost in an industry that employs 2 million Mexicans. Ceva was then asked for support by the authorities to help them protect the country. Respecting this call, Ceva researchers have developed first an inactivated and more recently a vector vaccine against the H7 subtype of the avian influenza virus found in Mexico, based on the same principle as Vectormune® AI H5. This is just the latest example of our constant commitment in favour of genuine control of this serious disease for the poultry industries affected by it. The avian influenza viruses (H5 and 7) can be transmitted from animals to humans with dramatic consequences, because they differ from the types (H1, H2, H3) that characterize seasonal winter forms of influenza, which we know and are better protected against. Recently, a H7N9 type virus appeared in China with increased transmissibility to humans: to date, more than 1,500 cases have been recorded with a death rate of above 30%, and the virus continues to evolve. The really frightening risk is that an avian influenza virus may develop that is capable of direct transmission between humans. The more we allow avian viruses to multiply, the more the risks for humans increases, which raises the question of the potential role for wider routine vaccination. Traditional inactivated vaccines have little or no efficacy against this disease for different reasons: they cannot be administered early in hatcheries due to their inhibition by maternal antibodies. 10 years ago intensive work led the Ceva team to successfully develop Vectormune® AI, an efficacious vaccine to prevent the H5 subtype virus. Tested in many independent centers, in the USA, Europe and Asia, Vectormune® AI was registered in the USA then introduced to Egypt, Mexico, Bangladesh and Vietnam. The results have exceeded all expectations; all experiments have confirmed its extraordinary ability to protect poultry. We owe this performance to the vaccine’s mechanism of action, which is very different to that of conventional vaccines. They have also demonstrated that in the event of contamination, vaccinated poultry excreted much less virus, which reduced contagion and spreading to other farms, making Vectormune® AI an efficacious tool not only to protect farms, but also to prevent the spread of the disease. sure to be properly vaccinated. This guarantees high vaccine coverage (above 97%), which is essential to protect groups of several thousands of individuals. These positive results are based both on our ability to innovate in terms of vaccines, and our unequalled expertise in the field of hatchery vaccination. This includes the development of vaccination equipment, training of motivated teams, and creation of control programs and services, such as the C.H.I.C.K. Program, which this year received Bureau Veritas quality certification. The Human-Animal Bond. Friend or food?